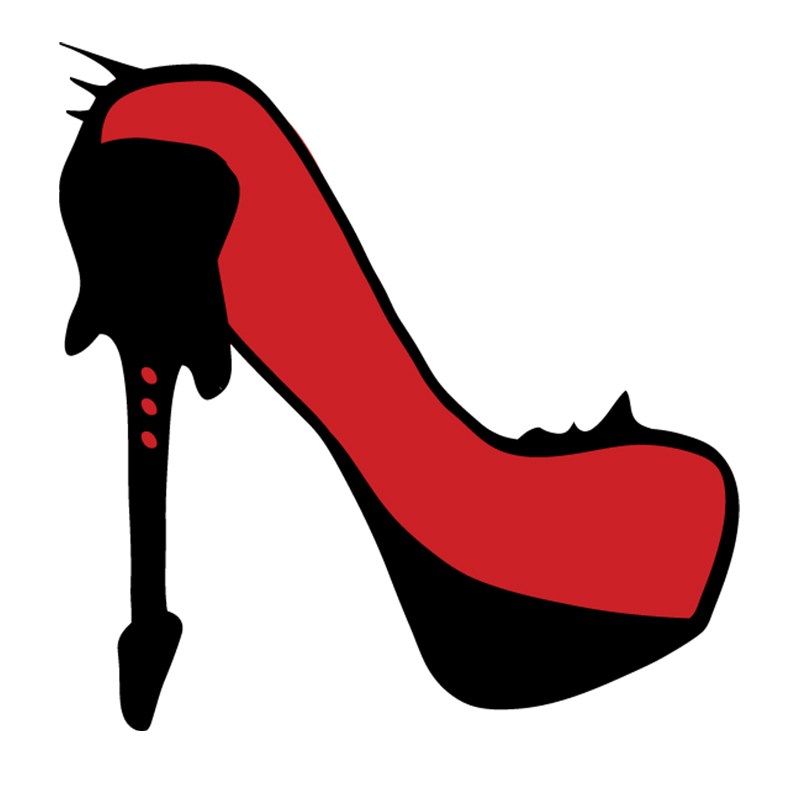 Our very own Metal & High Heels Podcast is hosted and produced by the women behind the Magazine Kiki, Pia, and Steffi. Subscribe to the Metal & High Heels Podcast on iTunes, subscribe on Android, or on podcatchers like Stitcher, TuneIn or Acast. It airs twice a month on Tuesdays. Our awesome jingle is voiced by Kassandra Novell based on the song ‘Storm’ by her band MERCY ISLE. 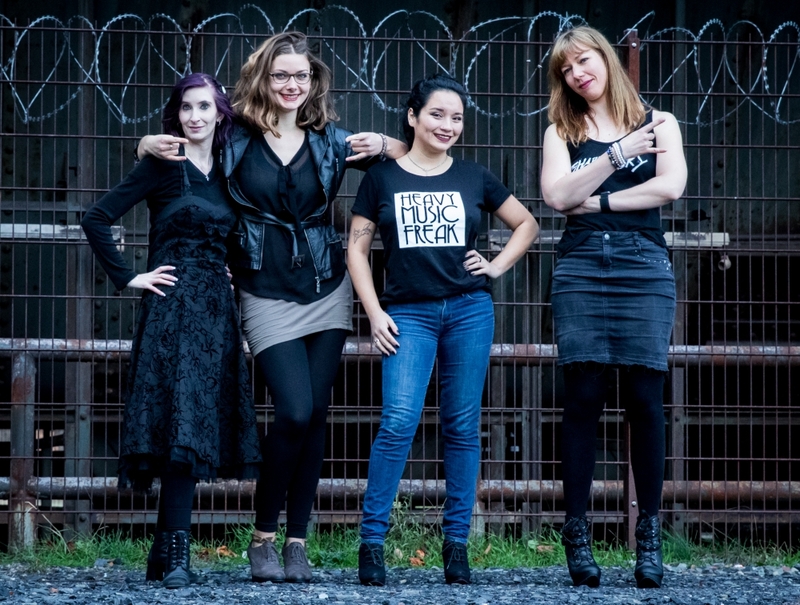 Kiki and Steffi welcome Angela Infernale to talk about our experiences with bands that are more pleasant than others behind the scenes, cool interviews she’s done, and about the concept of very different Female Fronted bands put together for a tour line-up. Kiki and Pia recorded this episode during their trip to Dublin to visit a long-time friend of Metal & High Heels. Pia and Kiki talk about Metal documentaries and research. Listen to their thoughts and the interviews we’ve had with the producers of such documentaries. Pia and Steffi had a very long talk with AVATARIUM at Tuska this year. Now you can listen to the interesting interview on the go – with Steffi and Kiki commenting on it, too. Pia, Kiki and Tom “TDW” de Wit talk about random but interesting stuff – for a whole half hour. On this episode of the Metal & High Heels Podcast, Pia, Kiki, and Steffi and talk about Female Metal Event 2017 and the people that attended and have been attending the festival over the last few years. 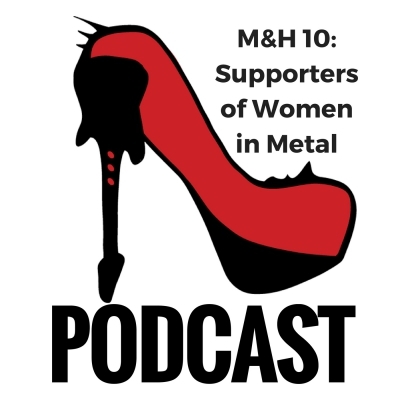 On a new episode of the Metal & High Heels Podcast, we welcome back Steffi and talk about open air festivals, the XANDRIA-drama and this year’s Female Metal Event. On this episode, we talk about EXIT EDEN in general and comment on our interview with the four singers. On another episode of the Metal & High Heels Podcast, Pia and I talk about two “new” bands: the Swiss CELLAR DARLING and the Dutch VUUR and interview some of their band members. 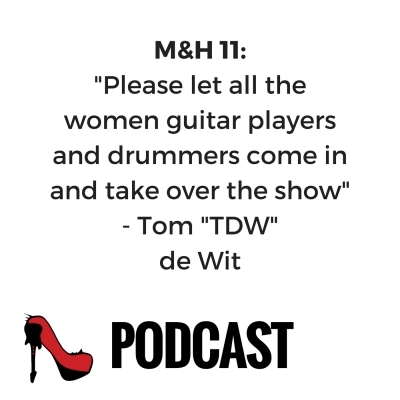 On this episode Pia and Kiki talked to Ton Dekkers about this year’s Female Metal Event and how it balances out other festivals not including many Metal bands with female members.